Pediped uses the latest technology, plus the highest quality materials and craftsmanship to create shoes for children that are designed to care for their feet from crawling, to those amazing first steps and into the toddler years.The Philosophy of Pediped has always been comfort, quality, and style which is why Pediped was one of the first children's shoes companies The American Podiatric Medical Association their seal of Acceptance for promoting healthy foot development. The Originals Line: for pre-walkers is designed to most closely mimic barefoot walking and the natural foot shape of a child. The Flex Line: combines everything your looking for in a rubber soled shoe; high quality, fine leather, and a soft soled flexible rubber sole. The princess is a total "girly girl"; she idolizes princesses and desires all things pink and purple. 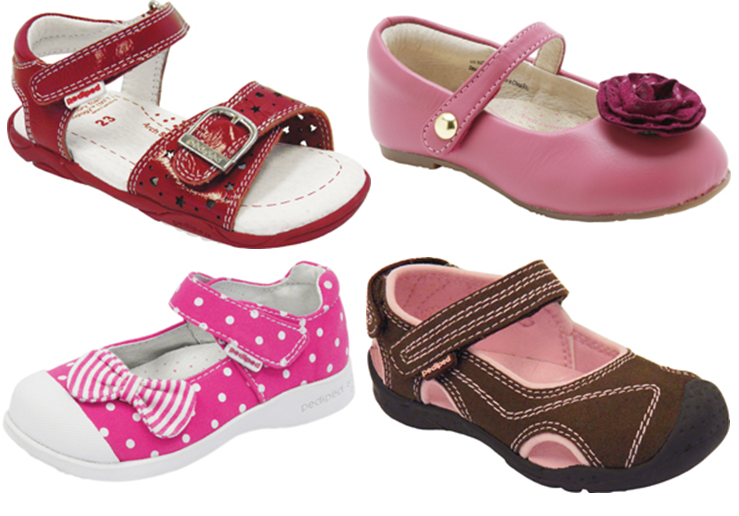 Being as such, she was over the moon when we received the adorable Abigail shoes (pictured above) for review. 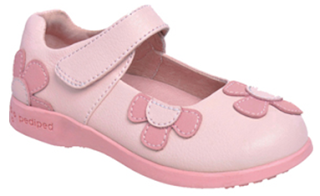 The Abigail shoes are simply adorable maryjane style leather shoes with precious pink flowers. The style is very versatile and can be paired either with a dress or a comfortable pair of jeans. The princess loves the comfortable style and as a mom I'm (as always with Pediped shoes) impressed by the impeccable quality and innovative design offered in Pediped's lines.